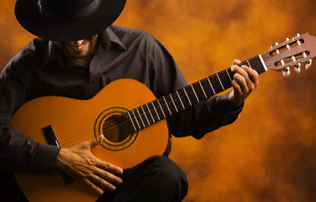 From the jazzy flamenco to the pure flamenco, 'Pa saber del flamenco2' is a compilation of popular songs of the flamenco. This cd is an ideal compilation to have a home, you'll find tittles of Camaron, Duquende, Paco de Lucía, El Lebrijano, Manolo Sanlúcar, Carmen Linares, Marina Heredia, Fosforito, Caracol, Mairena. The Gypsies sing Lorca in once disc. Lorcas poems are sung in the flamenco style. Fantastic. The best selling artists, those who have stood out on the sales listings singing in spanish, are put together in this three disc album. The first two discs are mostly rumba rhythm with important artists from Spain and in the third disc there are emblematic songs and artists.